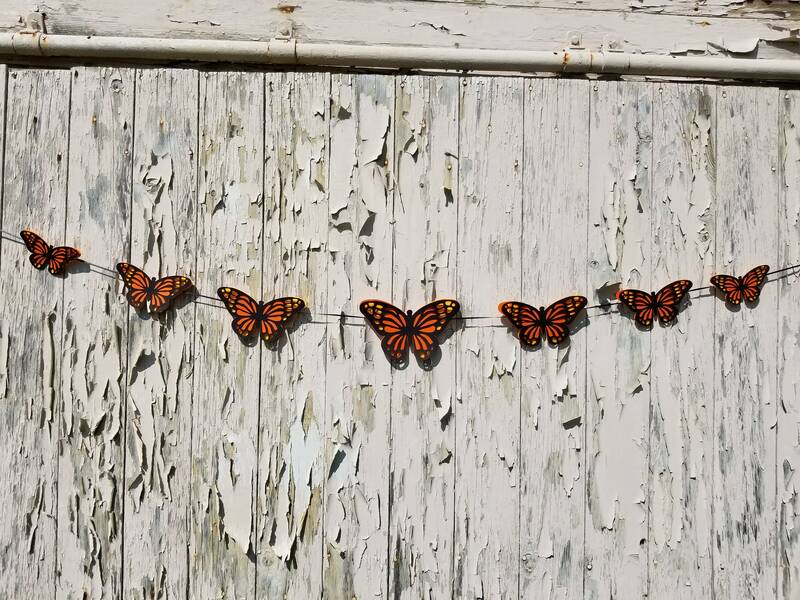 Butterfly Garland. 10 feet. CHOOSE YOUR COLORS. Wedding, Shower, Birthday, Home Decoration, Monarch. 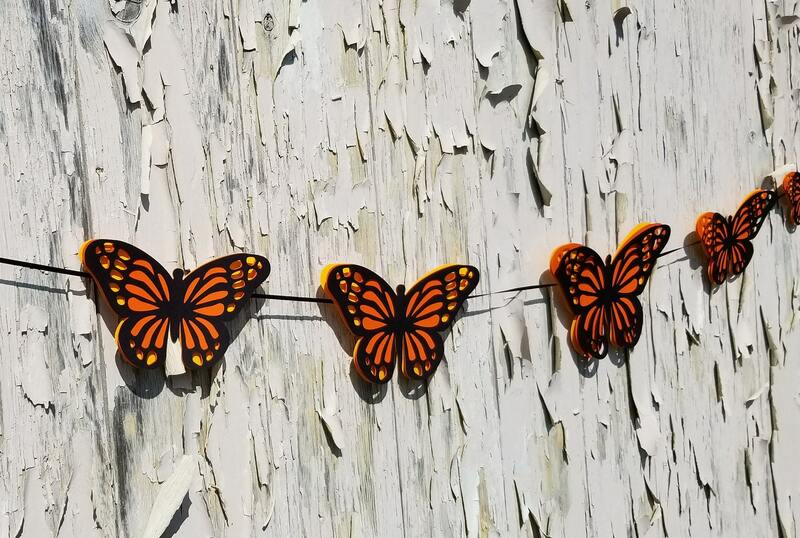 This listing is for a garland of huge butterflies. It measures 10 feet long and has 7 layered butterflies on it. You get to choose your colors! Included: one 8-inch, two 7-inch, two 6-inch, two 5-inch, ribbon. It is shown with monarch colored butterflies. 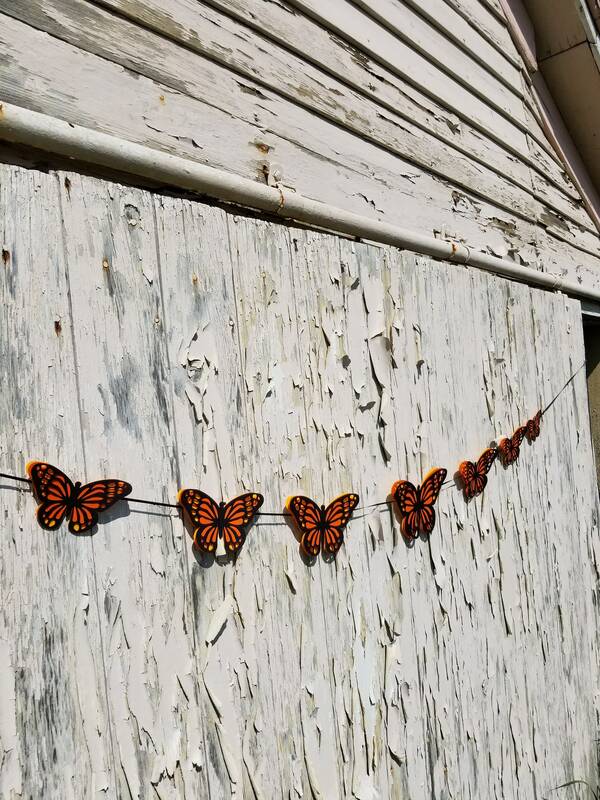 **Please leave a message on the checkout page with the colors you want**"
These butterflies are PERFECT for a wedding, shower, birthday, or just to have hanging in your home. 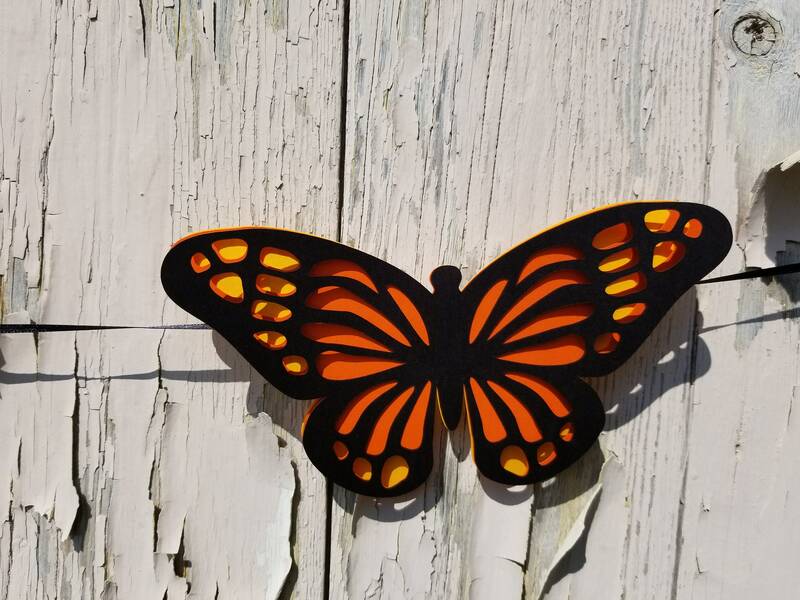 They are made from cardstock and look great anywhere! Please contact me for custom order requests.